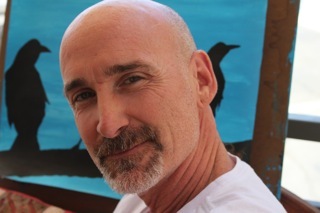 Johnny is a Hatha Flow/Restorative Yoga Instructor who anchors his personal practice with pranayama and meditation. He teaches a physically vigorous, but mindful, style of Yoga that connects the body to the spiritual realms. He feels he’s taught a great class when people have fun and leave feeling grounded, aware, and content. For Johnny, and his own 20+ years experience in yoga, there is great value in a safe, non-competitive physical practice. When leading others, he maintains the essential spirit of Yoga as a guiding force. Johnny has trained extensively under the instruction and great wisdom of Tias Little of New Mexico, Gyandev and Diksha McCord of The Expanding Light Center, and Robert Birnberg of The Breathing Space. 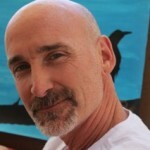 In 2001, he was certified by Diana Harmon at Yoga Experience. Johnny received his Advanced Certification through Cloud Nine Yoga and is proud to be an integral part of their guest faculty.